WORLD MAKER FAIRE is a West Coast import that is becoming a huge event here every September. Now in its third annual appearance, the Faire this weekend drew massive crowds and it seems to have hit the city just at the crest of the “artisan” phenomenon. Much of it is best described as “Geekstock,” with booth after booth of electronics gear and gadgets that whir, flash, beep, scuttle, fly, and roll. There were so many robot and science teams from MIT, Columbia, City Tech and other colleges and science high schools as well as random software and hardware aficionados packed into Flushing Meadow Park that for a few hours the average IQ per square foot must have spiked enormously. There were also squadrons of environmental activists, artists and craftspeople, and families dragging their kids around in hopes that enough science, math and engineering will seep in to improve the chance of admission in 12 years to the previously-mentioned elite schools. Brooklyn was well represented among exhibitors and visitors, making it the ideal event for kicking off coverage of this very exciting part of the artisan movement, the convergence of science, engineering, art, and manufacturing that is best categorized as the “maker” movement. 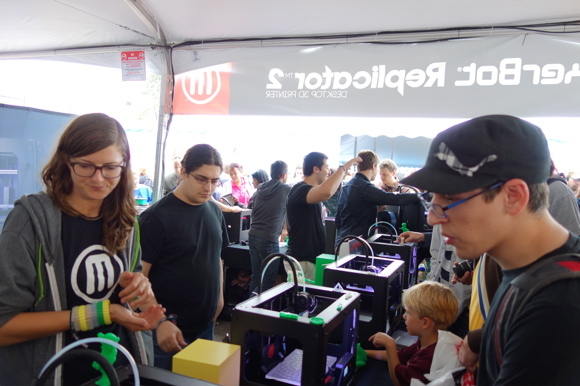 The booth for Makerbot Industries of Brooklyn was mobbed with visitors evaluating the latest version of the 3D printing machine that is on the wish list for nearly everyone. 3D printing is the hot technology right now, garnering extensive interest at the Makerbot space and at many other booths showing competing printers as well as materials, software and creative output. 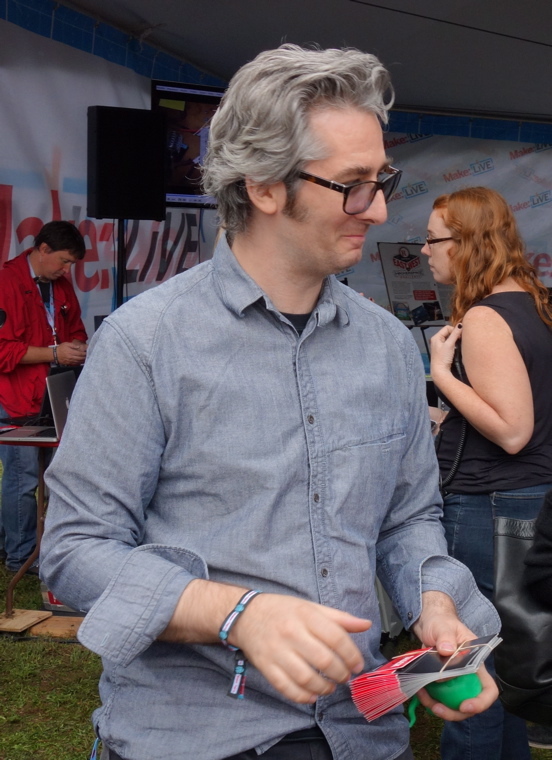 Bre Pettis, CEO of Makerbot and coverboy of Wired magazine’s current issue, was a star attraction at the Faire. Bre Pettis, CEO of Makerbot, presented show awards. In coming months, Brooklyn Artisan will be covering 3D printing often as these products gain wider acceptance. At the Faire, there were clear signs that 3D has moved from the hobbyist stage. A few exhibitors in the craft area showed jewelry, small plastic vases, and even an espresso cup created using clay laid down in a printer and then fired in a kiln. 3D printing may be the cutting edge, but there were plenty of maker projects applying tech to old technologies. Brooklyn design consultancy Pensawas demonstrating a computer-driven wire bender they have been developing and releasing into the public domain. I would love some personalized wire coathangers! 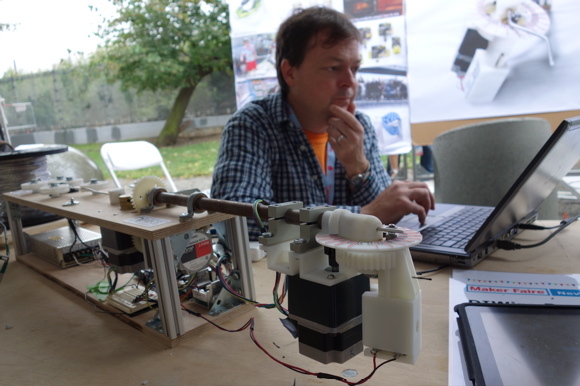 Watch for more of my coverage of interesting high-, middle- and low-tech from World Maker Faire coming soon.